An international study, involving researchers at the University of Southampton and Southampton General Hospital, has significantly expanded the number of genetic factors known to play a role in age-related macular degeneration (AMD), a leading cause of vision loss among people age 50 and older. Professor Andrew Lotery, who led the Southampton contribution, hopes the findings may help improve the understanding of the biological processes that lead to AMD and identify new therapeutic targets for potential drug development. He said: “This is a landmark study which has identified 34 genes which when faulty increase your risk of developing this devastating disease. Identifying these genes is the key to understanding what causes AMD. As a result this could open new doors to finding more efficient ways of treating this very common disease. AMD is a progressive disease that causes the death of the retinal photoreceptors, the light-sensitive cells at the back of the eye. The most severe damage occurs in the macula, a small area of the retina that is needed for sharp, central vision necessary for reading, driving and other daily tasks. There are two different types of AMD – ‘wet’ and ‘dry’. Dry AMD is the more common, however there are no approved treatments yet, whereas the growth of wet AMD can be stopped. However, the therapies do not cure the condition, nor do they work for everyone. AMD is caused by a combination of genetic, environmental and lifestyle risk factors. For example, smoking increases the risk of AMD, while eating leafy greens and fish, such as salmon, halibut, and tuna, may reduce the risk. 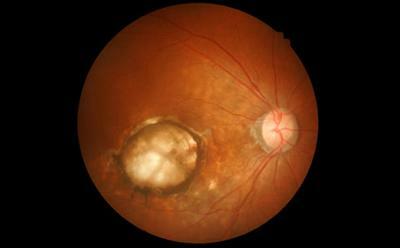 Up to this point, researchers had identified 21 regions of the genome—called loci—that influence the risk of AMD. The new research, funded by the National Eye Institute (NEI), part of the National Institutes of Health and published in Nature Genetics, brings the number up to 34 loci. The International AMD Genomics Consortium, which includes 26 centres worldwide, and of which Southampton is one, collected and analysed the genetic data from 43,566 people of predominantly European ancestry to systematically identify common and rare variations in genetic coding associated with AMD. Common variations generally have an indirect association with a disease. Rare variations, by contrast, are more likely to alter protein expression or function and therefore have a direct or causal association with a disease. Rare variations were defined as those found in less than one per cent of the study population. The study included about 23,000 participants with AMD and 20,000 without it, of which the Southampton team contributed more 1000 samples. The researchers analysed DNA samples from both groups, surveying most of the genome, but also focusing on distinct loci already known or suspected to be associated with AMD. They compared the participants’ DNA to a reference dataset called the 1000 Genomes Project, yielding more than 12 million genetic variants of potential interest. Finally, they went back to the participants’ DNA samples, looking at all 12 million variants, to see if any were found more or less often in people with AMD than those without it. The researchers have now discovered a total of 52 genetic variations that are associated with AMD and are located among 34 loci, 16 of which had not been previously associated with AMD. The study findings also bolster associations between AMD and two genes, CFH and TIMP3, which had each previously been linked to AMD. CFH was the very first disease-linked gene to be found through a genome-wide association study. TIMP3 had earlier been linked to Sorsby’s fundus dystrophy, a rare disease that is similar to AMD clinically, but that tends to affect people before the age of 45. For the first time the researchers also identified a variation specific to ‘wet’ AMD, which may point to reasons why therapy for this form of AMD is effective for some people but not everyone. Additionally, 10 of the variations point to genes involved in maintaining the extracellular matrix, the non-living material amongst cells that provides structural support and nutrients. Researchers have theorised that abnormalities of the extracellular matrix occur in people with a subtype of AMD that develops without early-stage signs, or that quickly worsens before such signs are detected. If confirmed, a connection between AMD and these extracellular matrix genes may allow for predictive genetic tests and more effective therapies for people with this type of AMD.